Bidding adieu to a friend is heartbreaking. But, farewells aren’t the end; rather it’s the beginning of new adventures. 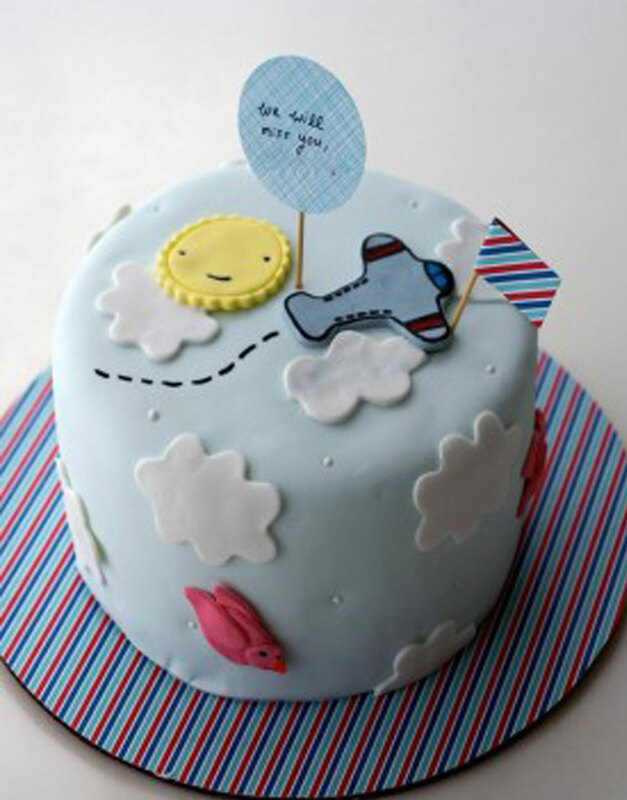 Now, make your farewells be remembered for a long time to come with this adorable cake. As your friend or loved one embarks on their new adventures, gift them this unique cake, a popular cake from our collection of the best designer cakes in Gurgaon. With puffy white clouds and a cute cartoony airplane, this cake is the best way to wish all the very best for your colleague or friend, as they begin the next chapter of their life. The Goodbye Farewell cake is available in a wide variety of classic and exotic flavours. Order cakes online in Gurgaon with our easy to order interface and have your cake delivered right at your place for no extra cost. Think of GurgaonBakers, the best bakery in Gurgaon for designer cakes for all your special occasions.